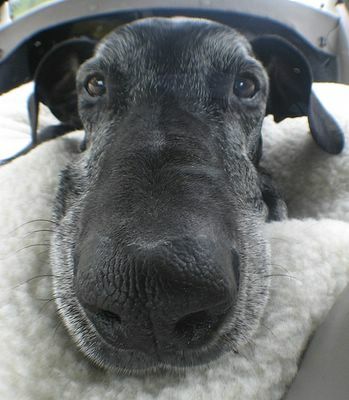 Not only do I have a new lens, but I have a Great Dane as well. Mary has gone out of town for a few days and Ileya is staying at my place. She also has a brand new fuzzy white dog bed, in this image she is sacked out in the back of my car on her bed. aw we-we!!! David i want a copy!!!! This ones a little blurry, but fun.